Teaching is so much fun, even more so when you have a classroom theme! 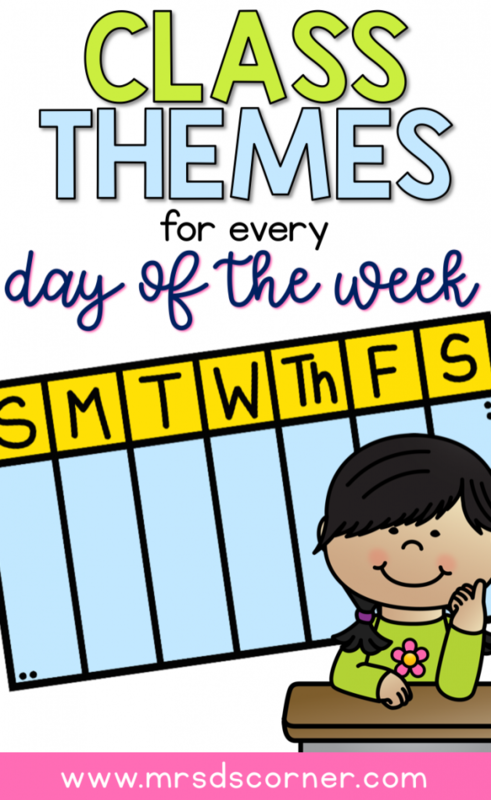 And I don’t just mean your entire class theme is nautical or Dr. Seuss or rainbow, I mean each day of the week has a theme. YES! If this idea is new to you, I definitely recommend trying it out. Start with just one day of the week, I think Friday is the best because… well it’s Friday and works as a HUGE motivator for students! Your whole entire day does not need to be themed, just a part of your schedule. For example, when we do Fun Food Friday – we cook only in the morning before specials. 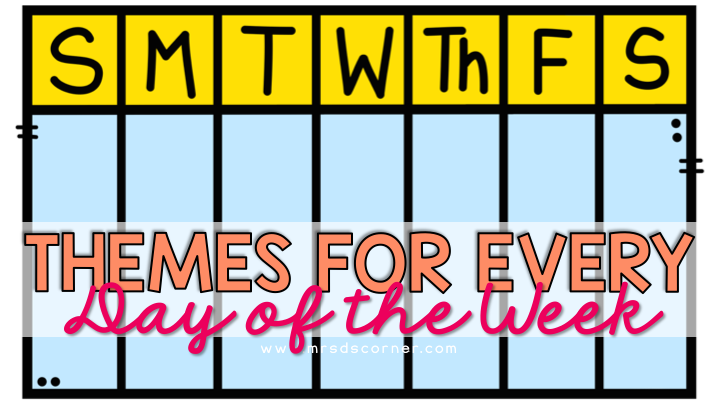 Do you have special themes for different days of the week in your classroom? Let us know by sharing your themes in the comments below!